On the face of it, the re-argument of Kiobel v. Royal Dutch Shell is about whether the Alien Tort Statute (ATS) applies to conduct that occurs outside the geographic borders of the United States. But behind this surface issue are two deeper concerns that are really motivating the debate—concerns that, when examined closely, turn out to be misplaced. The first is a worry that the U.S. courts will become the courts of the world. The U.S. is alone, the argument goes, in allowing individuals harmed by human rights abuses to sue those responsible. Moreover, the ATS allows aliens to sue defendants that have no connection to the United States for conduct that happened outside the United States. Clearly, then, allowing this case to proceed will open the floodgates! Nothing could be further from the truth. The U.S. is one of many countries—including the Netherlands, the home of Royal Dutch Shell—that provides for the enforcement of international human rights law in its courts. 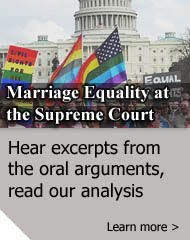 Indeed, in preparing our supplemental amicus brief for re-argument, the Yale Law School Center for Global Legal Challenges gathered a large number of foreign cases, statutes, and constitutions that expressly provide for such enforcement. The United States is in good company. Moreover, there are a variety of doctrines that already exist to keep cases out of U.S. courts if they belong elsewhere. These include personal jurisdiction, forum non conveniens, act of state doctrine, and exhaustion. Indeed, under personal jurisdiction doctrine, foreign defendants are subject to suit in U.S. courts only if they have sufficient contacts with the United States. Royal Dutch Shell, which does extensive business in the United States, so clearly meets this test (as the ubiquitous Shell gas stations attest) that it did not even raise the issue below. A second, and related, concern motivating the debate is a worry that the United States is improperly imposing U.S. law abroad. The background presumption against extraterritorial application of U.S. law can be understood as an effort to respect the sovereignty of other states: Foreign states should have the freedom to regulate behavior within their own geographic boundaries, hence U.S. courts should not apply U.S. law to conduct abroad unless Congress expressly so provides. That is because doing so risks imposing distinctive U.S. law to conduct that is more appropriately regulated by the state in which the conduct occurs. Yet this does not apply in this case or any other ATS case. 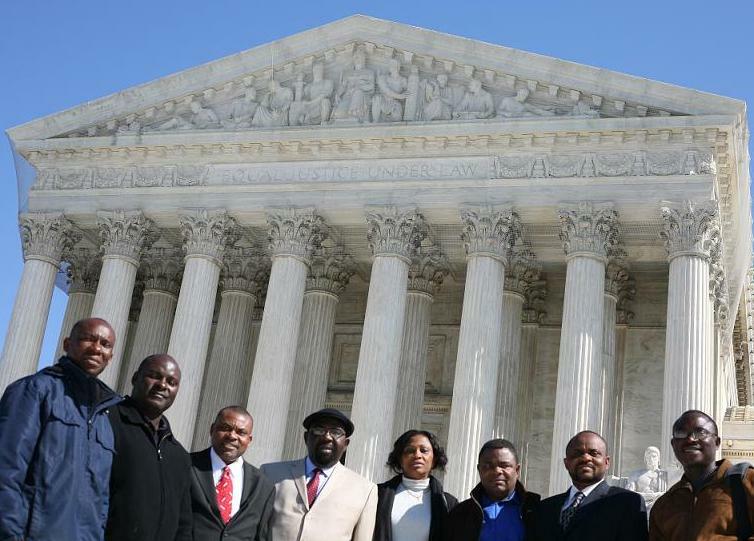 The plaintiffs are not asking the Supreme Court to apply distinctive U.S. law to conduct that occurred abroad. They are asking U.S. courts to enforce international law—including the prohibition on torture, crimes against humanity, and extrajudicial killing—that the country in which the conduct occurred has itself accepted (if not always honored). 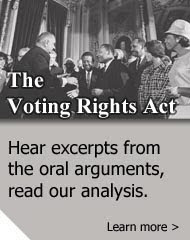 In 1789, the First U.S. Congress decided to allow aliens victimized by a violation of international law to seek civil redress in U.S. courts. No Congress in the more than 200 years since has revisited this decision. The Supreme Court should not do so now in a misguided attempt to correct problems with the law that do not, in truth, exist. 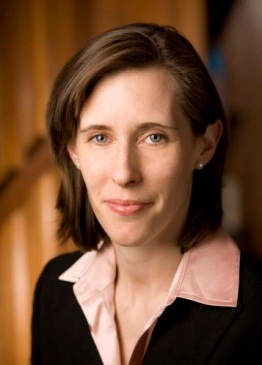 Oona A. Hathaway is the Gerard C. and Bernice Latrobe Smith Professor of International Law at Yale Law School. Professor Hathaway is the director of the Yale Law School Center for Global Legal Challenges, which filed amicus briefs on behalf of Esther Kiobel in this case. She is currently a committee member on the Advisory Committee on International Law for the Legal Advisor at the State Department. Professor Hathaway has also served as a law clerk for Justice Sandra Day O’Connor and lectured at Harvard Law School, UC Berkeley School of Law, and Boston University School of Law.